Winter Rates at The Shire…. From November 1st 2016 it’s just £37.50 per golfer for the Legends Winter Four-ball at The Shire London, with pre-golf coffee and bacon rolls, a round on the Ballesteros Masters Course, and post-golf hot soup all included. Your four-ball must tee off before 10am, and the offer is valid from Monday to Thursday until March 31st 2017. The deal is also available on Fridays for just £40 per golfer. During the same period, the Legends Winter Society Golf deal offers superb value for twelve golfers or more at just £40 per golfer from Monday to Wednesday, with the society organiser playing for free. The price rises slightly to £45 per golfer on Thursdays and Fridays. The Society deal includes pre-golf coffee and bacon rolls, a round on the Ballesteros Masters Course, and a one-course Golfer’s Meal post-round. Your society will also enjoy a private dining area and a dedicated Starter, with Long Drive and Nearest The Pin competitions and prizes also included in the price. The Shire Londo n is a 27-hole facility near Barnet, north London, featuring the only Severiano Ballesteros-designed golf course in the UK. Its 18-hole Ballesteros Masters Course measures 7,028 yards, with six par 3s, six par 4s and six par 5s. Its 9-hole Ballesteros Challenge Course features a mix of par 3s and 4s, and is the ideal introduction to golf for all ages and abilities. The Shire Academy is one of the leading teaching centres in the south of England, and with the tranquil setting of the golf course, first class conference rooms and a top-rated restaurant. 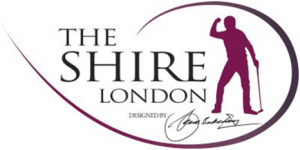 The Shire London is also a well-equipped and popular venue for golf societies, corporate golf days, conferencing and banqueting. It is situated two minutes from the M25/A1(M) South Mimms junction, with easy access to the motorway network. Sister facility the West London Golf Centre is a high-quality golf facility located near Northolt in West London, open to the public. 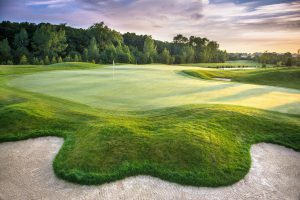 One of London’s best-equipped golf centres, WLGC features a 9-hole, 3,037 Yard Par 36 golf course; a floodlit 26-bay range; a Dinosaur Adventure Golf attraction; a Putting & Short Game Zone; a 4,500sq ft American golf superstore offering custom-fitting. There is also a Scott Cranfield golf school; and the fully-licensed Coffee House bar and restaurant. Another 18 holes will soon be available on the adjacent West London Links, a brand-new championship-length golf course. The Shire London, West London Golf Centre and West London Links are created, owned and operated by The Bridgedown Group. The Group has also announced plans to create The Dye London club near Edgware in north London, bringing world-famous golf architects Dye Designs to the UK for the first time. The Bridgedown Group is a family-run business involving Tony and Anne Menai-Davis and their sons Ceri and Cae. “We are incredibly flattered to be have been rated London’s #1 right through 2016, and I invite all UK golfers to come and see how much we care about remaining in the top spot. “At our heart we have the tremendously enjoyable Ballesteros Masters Course, which is Seve’s unique and lasting legacy to golf in the UK. Around that, we have tried to create an equally enjoyable experience for all visitors, whether they are members, guests, golf day or green fee customers, or indeed non-golfers who just come here to enjoy the atmosphere.” Said Club Director Ceri Menai-Davis. See www.theshirelondon.com for full details or call 0208 441 7649 to make a booking. You can also email mailto:golf@theshirelondon.com to enquire about a tee time, and bookings can also be made via the website. It’s true to say that all golfers love their cars! However, if you could turn up at your local club in anything what would the Golfers Dream Car be? Yes, it’s important you have enough room for your clubs but there’s much more than this…. Have you ever fancied yourself in an Aston Martin? A Jaguar? A Porsche? Golf has always been seen as a aspirational sport in the UK and it’s no surprise that those that play the game tend to come from affluent households. However, even the some of the wealthiest nouveau-riche can’t justify spending their own money on this kind of extravagance. So, if you’ve walked around the golf club car park with envy, maybe you should consider BOTB? You could actually find yourself sitting behind the wheel of your Dream Car in a matter of days. 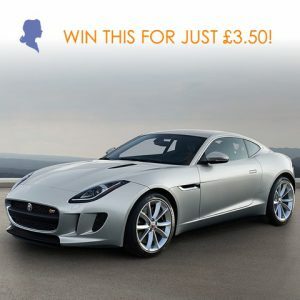 BOTB run a weekly Dream Car Competition where you can play from a selection of over 170 cars on their website. You play ‘Spot The Ball’ to enter the competition, and if your coordinates come up you’ll win the car you’ve entered for… it’s as simple as that! The competition closes at midnight every Sunday and they guarantee to give away a car every week, so if nobody gets the exact coordinates, the person closest will win… there’s no rollover. Established since 1999, BOTB and have handed the keys over to more than £20 million worth of cars. The biggest question they get asked is ‘Is this real?’ and we can safely say that with eight sites located in the departure lounges of major UK airports like Gatwick and Manchester, and as an AIM listed company who have been around for 16 years, they most definitely are! So what do you have to do to win a Golfers Dream Car? Visit botb.com today and when you sign-up you’ll get £5 to play for free. 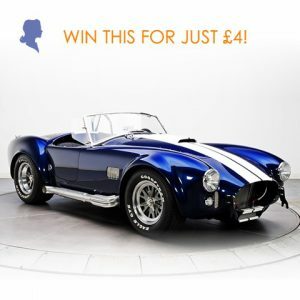 The tickets for cars start from around £2, and at the moment you could win a Classic Cobra AC for £4, a Jaguar F-Type V6S for £3.50 or a BMW M5 for £3, as they’ve slashed the ticket prices on 16 cool cars by 50%! Full details on how to win can be found on their website here. Which came first – the golf club or the golf ball? In the first four hundred years of golf, there were only four types of golf ball – the Hairy, the Feathery, the Gutty and the Haskell. 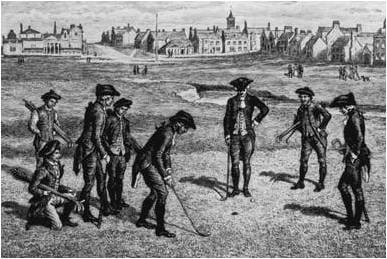 The ‘feathery’ or ‘featherie’, which dominated golf for over 200 years, was the making of golf on the links. However, before the feathery, came the ‘hairy’, inexplicably written out of golf history, due partly to the romance of the feathery, though it was arguably the reason why golf initially developed in Scotland, when many other similar games died out. The use of wooden balls in golf in Scotland is an assumption, but without any definite evidence. Wooden balls were used extensively in northern continental games such as Colf, Crosse and Mail which share some characteristics of golf. Examples of these balls have been found and descriptions of wooden balls in golf and the types of wood used are derived from these sources and not from any examples or accounts in Scotland. The spherical wood balls were smooth and thus not did not have good handling properties. Although they were more hard-wearing, the distance they could be hit was only about 75 metres. It is unlikely links golfers used these in preference to the hairy colf/golf balls which were available in Scotland from the time golf is first recorded. Wooden balls may well have been used in the above-ground, target game in Scotland, also termed golf, but this is not golf proper and it is more likely than not that the ‘hairy’ colf ball was the first ball used for golf on the links in Scotland. 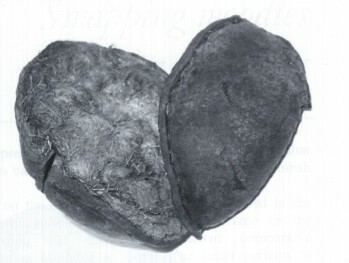 The Romans had a small, leather stitched handball filled with hair, called the harpastum, though there is no known connection to colf or golf and it is not believed that they used this ball in any stick and ball game. The hairy ball was almost certainly one of the balls imported between 1486-1618 from The Netherlands, where it was manufactured in large quantities as a by-product of the Dutch agricultural revolution. It came into its own on the Scottish Links. 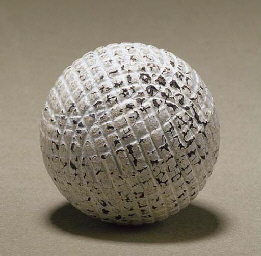 This type of golf ball was being made in Scotland from at least 1554, when there is a reference to a dispute between the cordiners (leather workers/cobblers) of the Cannongate in Edinburgh and the ‘cordiners and gouff ball makers of North Leith’. A Hairy Colf Ball from 16th Century was found in 1984 in Amersfoort, courtesy of Archeologish Centrum Amersfoort, The Netherlands. The hairy was originally used in colf, particularly in the version played on ice, where it had better handling characteristics than wood. It is estimated that the ball could be hit 135-150 meters and it was more controllable than wooden colf balls, although it was prone to water damage. As the weather in the east of Scotland is comparatively drier in the winter and, as the links land dries quickly, ball damage would be mitigated. The manufacturing technique would have been broadly the same as that outlined below for the ‘feathery’, and other materials such as cow hair or straw were used. These balls apparently continued in use for decades, referred to as ‘common’ balls at 2 shillings, half the price of the best golf balls, from late 16th century until early 18th century. There is a record of a dozen ‘goiff balls’ being purchased for £3 for the young Earl of Montrose in the early 17th century, which would be 5 shillings per ball and no small expense. In 1618, James VI/I granted a 21 year patent to James Melville and William Berwick to make golf balls in Scotland, as the cost of imported balls was becoming exorbitant, but this licence was later successfully challenged and became unenforceable. The feathery or featherie is the most famous of all golf balls, though it is not definitively known when or where it was developed. There is a reference in the Edinburgh Testaments (vol xlvii 123b) to ‘fyve scoir twell flok goiff ballis’ (112 flok golf balls) in a will in 1612. Flok, from the Latin for ‘floccus’ meaning wool, is also used to refer to ‘the down of unfledged birds’ as well ‘a tuft of feathers on the head of young birds’ (OED) and is thus probably an early reference to feathery balls and may explain their origin. The cordiners began by using the sweepings out of bird coops. The first reference in the Netherlands is in a poem in 1657 (a pennebal) with a Scottish ‘cleek’, so it is possible that it was developed in Scotland and the concept re-exported to the Netherlands. No written reference to the feathery per se has been found in Scotland before 1724, when Alan Ramsay refers to it in an unpublished draft of a poem, cited in The Chronicles of Golf. The most famous mention of the feathery in ‘The Goff’ by Thomas Mathison in 1743 – “the feathers harden and the leather swells”. Feathers are keratin, a hydrocarbon plastic, found in most animals, forming hair and nails in man. The ball’s manufacturing process began as three pieces of leather stitched together and turned inside out leaving a ¼ inch slit through which the feathers were pushed with the ‘brogue’ using the chest. The feathers and leather were wet and, as they dried, the feathers expanded and the leather shrank, creating a two way pressure and a tight ball with characteristics only recently matched by modern balls. Opinion is divided as to whether the feathers or leather were boiled and there was more than a ‘hat’ full of feathers in each ball. Afterwards, the balls were painted white for protection and so that they could be found. The New Statistical Account of Scotland 1838 estimated a expert ball maker could make 50 to 60 balls in a week. With Tom Morris as his apprentice, Allan Robertson made 1,021 featherie golf balls in 1840, 1,392 in 1841 and 2,456 in 1844. The work was hard, as shown recently by a review of autopsy reports of golf ball makers. Allan Robertson died at 44. 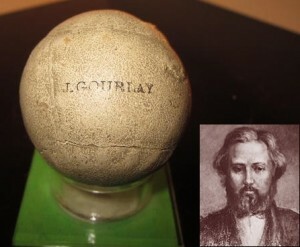 Many of the Gourlay golf ball-makers at Bruntsfield also died young. Top quality featheries could sell for 5/- (5 shillings, called a crown), though there were lesser quality balls costing half that price. These were known as ‘common’ balls and were probably hairy balls or leather balls with cheaper materials or with course stitching and may have included recycled balls. Today, featheries from named makers such as Tom Morris, Allan Robertson or his father command thousands of pounds at auction. Featheries could be packed harder than ‘hairies’ and would thus travel further. In 1786, a controlled test in Glasgow recorded an average distance of 193 yards and 1 foot from 5 drives by John Gibson, ranging from 182 to 201 yards. The ‘official’ feathery record was set in 1836 at 361 yards by Samuel Messieux from Hole O’Cross green into Hell Bunker at St Andrews, wind assisted. From 1848, golf balls made of gutta-percha gum, called ‘gutties’ began to replace featheries. Several claims are made about the origin of the gutty. The traditional story of their creation, relates that in 1843 Robert Adams Paterson a divinity student at St Andrews, received a package from Singapore of the God Vishnu packed in gutta-percha, which is dried gum resin from guttiferous trees especially of the Malaysian sapodilla tree. It was not uncommon to make things from this gutta-percha packaging and Paterson tried heating and molding it to make golf balls. His early experiments were not successful. After he graduated and emigrated to America, where he died in 1904, his brother worked on to create an acceptable prototype, which he stamped “Paterson’s Composite – Patented” golf ball. The patent existed only in his imagination, as none was ever granted. Gutty Golf Ball which sold at Christie’s for £180 in 2006. Rev John Kerr writing in 1896 does not mention this story but provides three other tales ascribing the origin of gutties to Dr Montgomery in 1842, Campbell of Saddell in North Berwick in 1848, and Mr H T Peter at Innerleven in 1848. These merely claimed to have discovered gutties, not invented them. The first gutties were smooth, but it was soon noticed that the ball performed better after it had nicks and blemishes. It is said that a saddle maker in St Andrews used tools to create regular grooves, which was better than random cutting. Initial reception to the gutty was mixed, as gutties were not demonstrably better than featheries, merely cheaper and more robust. In 1848 Admiral W H Maitland Dougall at Blackheath adopted it, while Alan Robertson who saw them at Innerleven initially did not. John Gourlay at Musselburgh is said to have disposed of all of his featheries to Sir David Baird and then gone into the production of gutties. However, by 1860, they were good enough and popular enough to replace the feathery and a new era of golf was born. In 1871, Willie Dunn at Musselburgh created a mould to make gutties, which was a quicker and more consistent method of production. Gutties were painted white or red for winter play, for the same reason as featheries, as protection and to be able to find them. The cost of gutties was 1/- one shilling, much cheaper than featheries, and a main factor in bringing golf to the masses. The gutty lasted until 1900. Coburn Haskell, an American, developed a wound core ball in 1898. In 1899, he and Bertram Work, an employee of the Goodrich rubber company in Ohio, patented the Haskell ball, as it came to be known, in 1899 – a solid core wrapped tightly with rubber threads covered with a layer of gutta-percha. The ball arrived in Britain in 1900, but in 1905 Haskell’s patent in UK was refused on the grounds of prior existence from 1870. 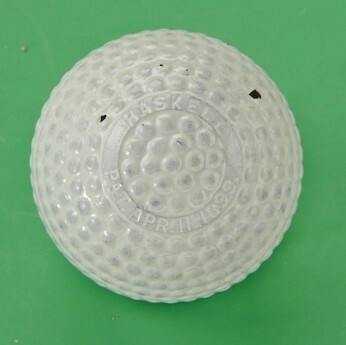 This means that, for different reasons, none of the golf balls which were the making of golf were patented in the UK. The hand winding of the rubber threads was soon mechanized. The outside covering was initially a Bramble pattern, and it would be a dozen years before superior dimples patterns that we know today were developed. Bobby Jones described this as the most important development in golf, and it certainly was of his lifetime. Within a few years, the Haskell was outperforming the gutty and superseded it. In 500 Years of Golf Balls, Chick Evans relates how, when he was a caddy, he witnessed the first use, and loss, and finding of a Haskell golf ball. Though the first 2-piece ball with solid core and cover, was developed in 1902, it would be decades before the Haskell ball was replaced. In 1967, Spalding re-devised this construction using Suralyn as cover. Since then, there has been a never-ending explosion of 1, 2 and 3 piece developments of cores with variations of covers and dimples. The result is golf balls than spin slower off the driver, and hence slice less, but still allow control in short game. This enables high handicap golfers to play like pros, as we all know!